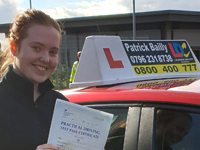 Patrick was very excellent in teaching myself on driving. Very patient, very kind and understanding as sometimes I've had to cancel my lesson at the very last minute. After each lesson, we would discuss on what/where we went wrong and move on from there. 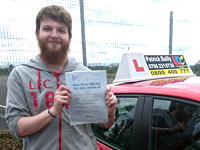 Patrick has done a great job for me as I have had other Instructors before who weren't as good as Patrick. The LD System Workbook and DVDs were really good as I was able to understand and follow instructions really well. The LDC YouTube Channel is Great. 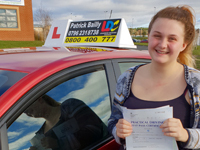 I would highly recommend Patrick Bailly and LDC Centre. Patrick as he is very easy going and made me feel confident in the car. He is friendly, professional and patient. His instructions are very clear. Thank you, Patrick. The student centred LD workbook and DVDs were very useful. There are many instructions and tips for manoeuvres. They were simple and a lot clearer. The online theory test preparation and resources were also very helpful for me. Thanks again for everything. LDC YouTube Channel was also very useful, their instructions also very clear and simple. Thanks for the help and service. 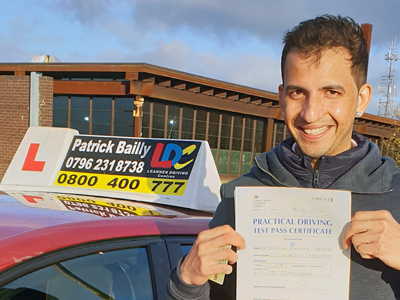 Patrick is perfect :) The LDC Driving Skills Workbook and is excellent and the LDC YouTube Channel is very good. 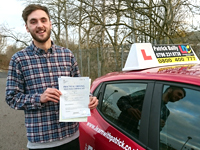 Patrick is a very good and patient Driving Instructor and I enjoyed my lessons. I thank Patrick for helping pass my practical test. The LDC workbook and videos helped me understand things I originally didn't and the YouTube Channel is very good. Patrick is professional and friendly, but more importantly knowledgeable and patient - always took the time to listen and answer questions in a way that was easy to understand. Also reassuring and encouraging on the lead up to the test. 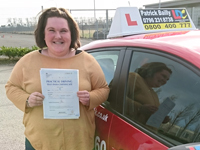 Also, Patrick was always very honest when reviewing lessons, so if I did something wrong or needed improvement I would know exactly what it was and how to improve so that could work on it. This helped me to learn at a quicker rate. 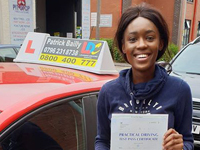 The LDC Driving Skills Workbook and DVDs were especially helpful in the early lessons to prepare and be mentally ready for what I was about to do. The reflections were also helpful in planning what I needed to work on in my next lesson. The LDC YouTube Channel, The student journey was extremely helpful and reassuring to watch people who were at the same stage as me. Patrick was awesome and excellent. He was very patient and very generous, giving the whole and fully correct information. I consider that me passing my test at my first attempt was 95% because of his good training. I didn't have enough time to use the LDC Driving Skills Workbook and Videos but anyway I tried a bit and I found that they were very good and very helpful. The LDC YouTube Channel was very helpful and gave needed information. Patrick is one of the greatest Instructor I have met. he is very patient when teaching and understands the pupil really well. I am pleased to have have been his pupil. The LDC system and the YouTube Channel really help to plan ahead. Patrick is amazing. I did not pass 6 times with other Instructors but with Patrick passed 1st time. He is so careful, he sees everything and helps you understand, he is perfect. Patrick is a great Instructor. He works very hard and is very patient during the driving lessons. Moreover, he always encourages the student to sit for test confidently. also, I'm glad to have had coaching under such an Instructor. All the LDC resources are very useful and fantastic to learn different rules of driving. The LDC YouTube Channel was quite helpful to clear each and every point such as reverse parking, forward bay parking...etc. 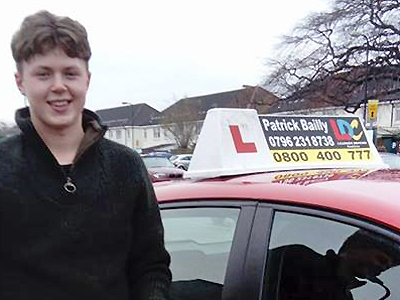 Patrick is a Brilliant Driving Instructor. He makes you feel very comfortable and confident. He is patient and helped me with anything I was unsure of. The LDC online theory, the LD System are very good. They helped me pass my theory first time and gave me something to go over before my driving test. 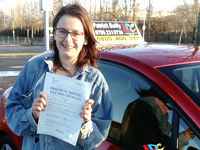 The LDC YouTube Channel helped me go over any queries I had as well and also helped me with my confidence before my driving test. 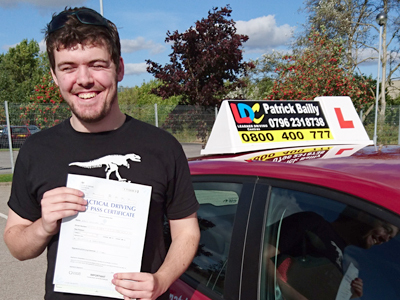 Patrick is a very good, very professional and an excellent Driving Instructor. The LDC workbook and DVDs were very helpful and instructive. 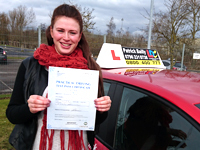 VERY GOOD, Patrick makes the Learner feel very comfortable. 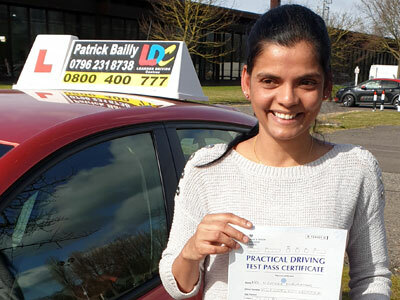 Overall a very good Driving Instructor and would recommend. The LDC workbook, DVDs and YouTube channel are very helpful. 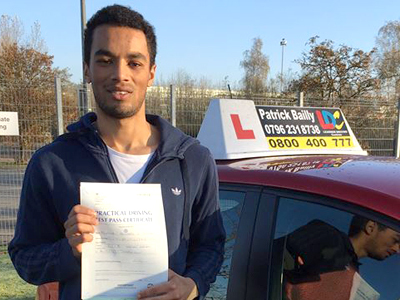 Patrick has been an amazing Driving Instructor. He is very calm and patient in times of frustration. Also, he is always very supportive. 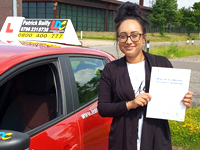 The online theory test preparation from LDC helped me to pass the first time and LDC YouTube Channel was good for learning manoeuvres and recapping before my driving test. 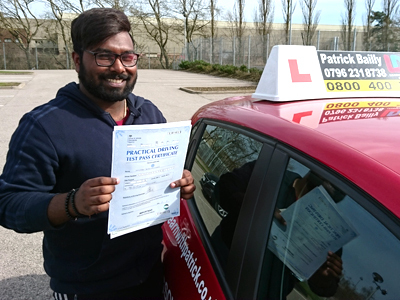 Patrick has been a brilliant Driving Instructor: patient, understanding, knowledgeable and assuring, as well as good company and conversation. 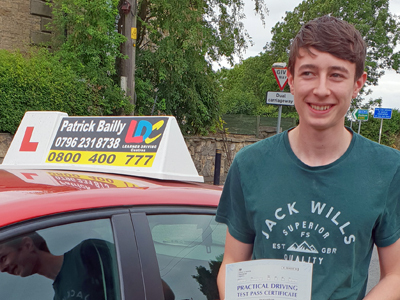 I do think, However, that whilst always prompt and on time for lessons, Patrick has been, on occasions, rather early, but this the only and a rather minor fault. The Driving Skills Workbook was comprehensible and useful and was used at times, affecting and easy to understand diagrams and explanations. 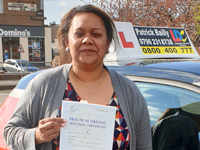 Patrick is an excellent Driving Instructor who is very thorough with his instructions as to how to complete manoeuvres and approach situations while driving which gave me a clear understanding of what to do while driving. 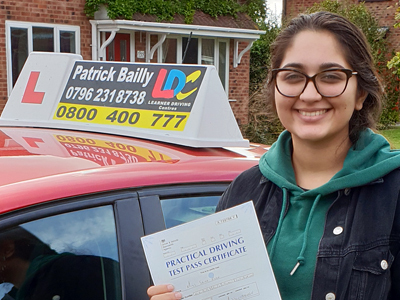 The LDC driving skills workbook was very useful as it gave a detailed description of the way the test was marked and where minor errors could be picked up allowing me to know what to avoid in practice. 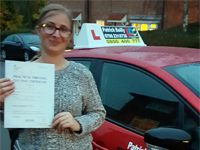 The online theory test preparation was also very useful as it gave detailed reasons as to why questions had specific answers in relation to the highway code, making it an invaluable resource during my theory test revision. Patrick is very good, always positive and strict with my observations but that's great. Patrick's ways of teaching is good and sticks in your head. Patrick was very patient with me. The LDC system and workbook is good to get all the info. I think it is something you need to pass. The LDC YouTube Channel is good to get reminders back into your head. 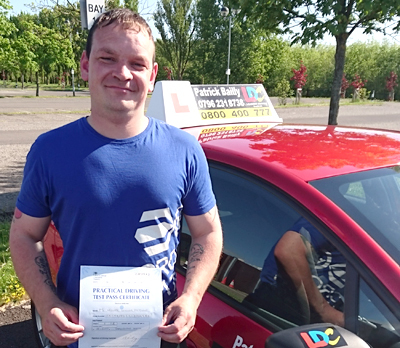 Patrick is a real gentleman, a very experienced Driving Instructor, exceptionally patient and knows everything that is required to learn to drive safely. I was very impressed with his pre-discussion before and after each lesson. 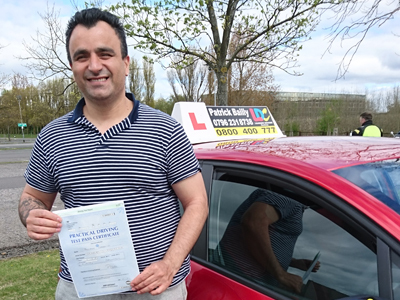 I am really happy and impressed with his coaching skills, appreciated his detailed emails which he sent me after each lesson to explain driving progress. 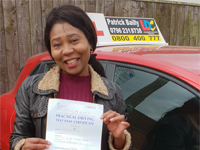 I strongly recommend contacting Patrick if you are looking for a professional Driving Instructor and I'm going to recommend to my friends, relatives and acquaintances to contact him. All online preparation resources which Patrick provided was most helpful during my own preparations. The LDC workbook covers all subjects required to pass a test and the YouTube Channel was the most helpful too. Professionally designed lessons and videos are "auxiliary Instructors" during the preparation period. Patrick is an amazing person and a great Driving Instructor. I couldn't have passed without him and will miss our lessons greatly. He made learning to drive most enjoyable. Whenever I struggled he helped me find a solution to the problem. 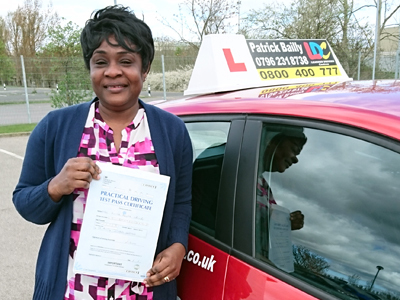 I would highly recommend Patrick to any nervous drivers, he made me a confident and safe driver. Patrick was brilliant, very helpful, supportive and super nice. He was very patient with me and explained everything thoroughly. The book was a slight help for visualising things at the start but the YouTube channel was very helpfull. 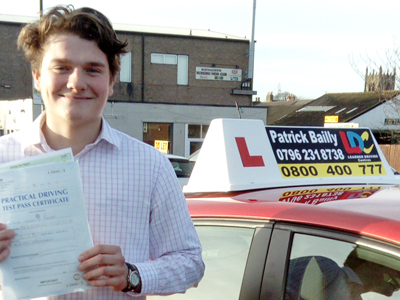 Patrick is a fantastic Driving Instructor. He explained everything before you do it, he is welcoming and very friendly which helps when you are feeling nervous. I couldn't have asked for a better Driving Instructor and would 100% recommend him to anyone wishing to learn to drive. 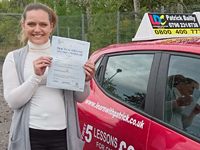 The LDC workbook and DVD are great products with great details which help with my learning and overall helped pass my test on my first attempt and the YouTube Channel is fantastic. 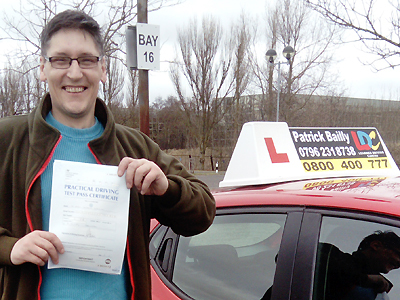 Patrick is a very pleasant and patient Driving Instructor. He offers excellent and timely insights. 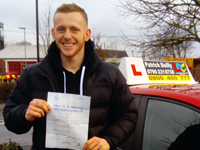 By far the best Driving Instructor I had ever had the pleasure of training and learning with. The LDC resources are excellent material and very appropriate. 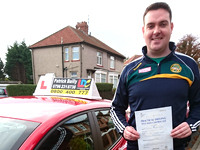 Patrick is a Driving Instructor who has a caring approach. He is very supportive and understands the Learner's difficulties and barriers. His approach helps to break those barriers. The Driving Skills Workbook helps to develop awareness in many aspects of driving controls, road and traffic skills. I believe it is very useful for Learners. 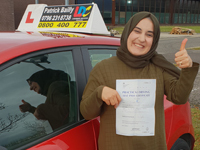 The LDC YouTube channel is another helpful element which highlights the practical aspects of driving necessary to prepare a Learner for the practical test. I was quite a nervous learner and Patrick was incredibly patient and addressed all my anxiety in a calm, understanding manner. 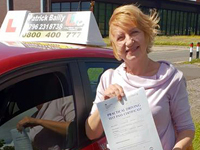 Patrick is an excellent Driving Instructor who takes the time to make sure that you are learning everything correctly and at a speed that is appropriate to you. Patrick has a very calm reassuring teaching style and doesn't get flustered even when I was getting stressed and struggling at times. He then got me through every situation calmly and without me feeling under added pressure. The Driving Skills Workbook and DVD were very helpful in my learning as was the LDC YouTube Channel. Patrick is kind, very approachable and never felt I couldn't ask questions that wouldn't be answered clearly. The LDC Driving Skills workbook was excellent to refresh my memory, especially manoeuvres, and the LDC YouTube Channel really solidify what was learnt after the lesson. Patrick demonstrated his knowledge of high level and helped me progress with every lesson by giving insight and tools to work with, to overcome obstacles. He was encouraging, supportive and always patient. During my course of learning, the LDC System workbook and online learning resources were of great help to further prepare me for my driving and theoretical sessions. The LDC YouTube Channel is a great tool to properly prepare me and give me knowledge on many different things, such as performing manoeuvres, roundabouts and road rules. 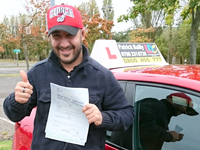 Patrick is a lovely guy, very patient, always cheerful, always on time and a fantastic Driving Instructor who taught me very well. 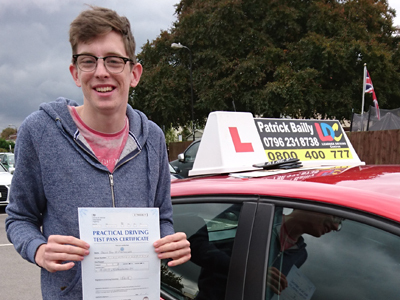 Patrick is a first class Driving Instructor. 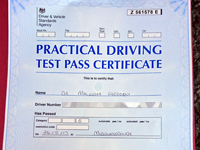 After 20 years of trying to learn to drive and many Driving Instructor, I passed my test on my 3rd attempt. Patrick's unique way of teaching and extreme patience make you feel at ease and able to concentrate and enjoy your lesson. 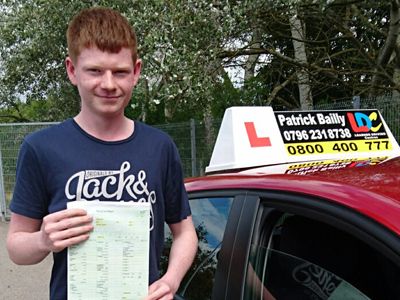 Patrick is always on time for lessons and any information needed is provided immediately. Even when I doubted myself Patrick was always there to encourage me. I now have my independence and cannot thank him enough. I recommend Patrick 100%. 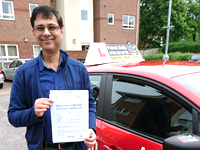 He was the Driving Instructor for me and if can teach me to drive and pass my test, he can teach anyone. Thank you Patrick. Patrick is a very helpful Driving Instructor and gives great advice. The LDC System help me a lot with my theory. 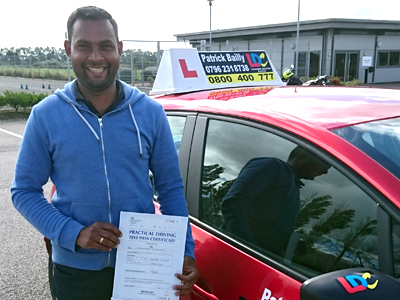 Patrick is a great Driving Instructor and I learnt a lot from him. I just can't fault him and he is a very nice Driving Instructor. The LDC driving skills workbook was very helpful, especially the new Show me Tell me questions. The LDC YouTube channel was also very helpful, showing details with cameras and so on. 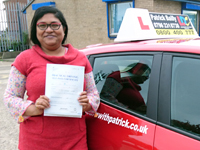 Patrick is a great Driving Instructor who gives clear Instructions, allowed me to take my time and explained everything very well. The LDC Driving Skills Workbook was useful and clear and the LDC YouTube Channel was very informative. Patrick is fantastic and a great Instructor. He has plenty of time for his pupils, very patient even when I made mistakes and I made many!!!! 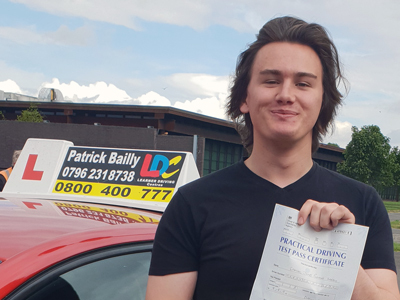 lol I would happily recommend Patrick to anyone wanting to learn to drive :) The LDC Driving Skills Workbook was great, had all the information in, well sectioned and very easy to understand. 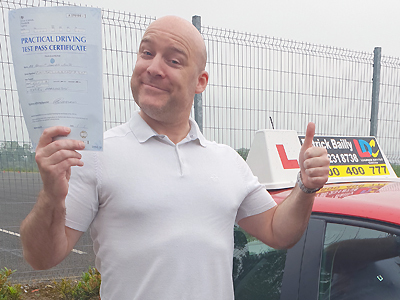 Patrick is a fantastic Instructor, very patient, yet very informative in situations where needed. 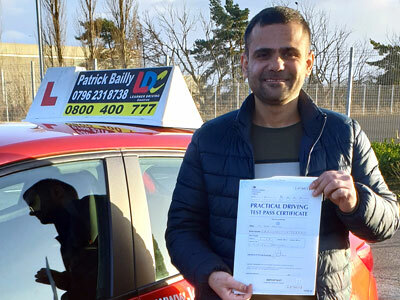 For anyone who is looking to learn to drive I would highly recommend Patrick as he is the second Instructor I have used and he is a mile ahead of my previous one. 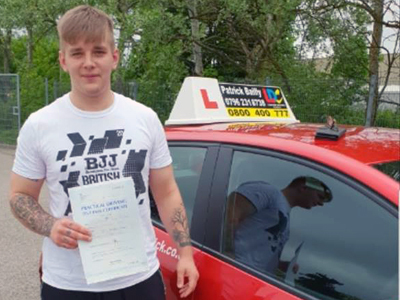 A fantastic personality to fit an obvious high level of experience as an Instructor and to anybody who is looking at learning to drive, I definitely recommend him. Thank you for all the work and effort you have put in with me, words cannot describe how grateful I am for everything. 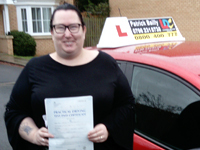 The LDC Driving Skills Workbook was very useful, it helped me to fully understand driving and my awareness of my surroundings. The LDC YouTube Channel was very easy to watch and to learn from, straight to the point with every situation imaginable. Patrick is a great Instructor, I had to pass within a month and he got me through it. The LDC Driving Skills Workbook was a great resource to help me pass my test and the LDC YouTube Channel helped me understand things that I was confused with. 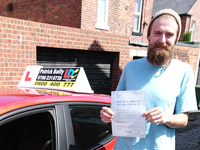 Patrick is a very nice man and a great Driving Instructor. He was so polite and helpful when on lessons and before my test. He constantly calmed and reassured me and I couldn't be more thankful. I would definitely recommend him! The LDC YouTube Channel is very helpful, it has many tips and tricks that helped me adapt and overcome my problems. Patrick is brilliant, I got an excellent guidance from him and he is always patient. 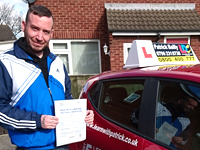 Patrick was brilliant from start to finish and helped me to gain confidence quite easily. 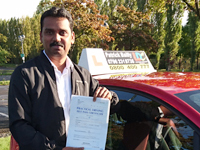 He is a very thorough Driving Instructor with great teaching methods and easy to communicate with. All in all he is a very nice guy. I would recommend Patrick to anyone. 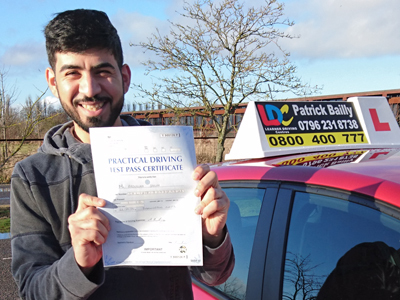 Patrick is an excellent all round Driving Instructor, very patient and calm at all times. 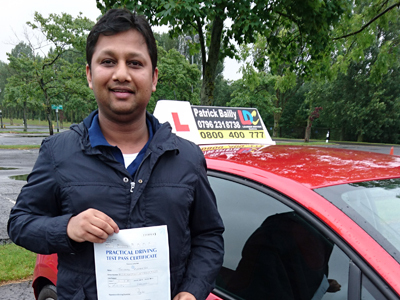 He is an extremely competent Driving Instructor who helped me relax from the start. I would definitely recommend him to everyone wanting to learn. The LDC Driving Skills Workbook is very useful to prepare for lessons and help with road safety. The online theory test resources that Patrick provides were fantastic and made getting ready for the test much easier. The LDC YouTube channel is another brilliant resource to help you to learn the road safety and techniques for driving. 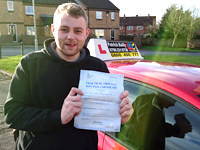 Patrick is very friendly and uses different scenarios on each lesson, which helped me to understand about driving. Using a presenter for more difficult junctions and roundabouts, he helped me to deal with them. I would recommend Patrick to anyone. The LDC workbook was useful and loved the diagrams as they were very easy to learn from. Patrick is a very helpful Driving Instructor, flexible, and he was very good with driving around teaching and giving me tips on how to learn for myself. The LD Driving Skills Workbook and LDC YouTube Channel were very useful. 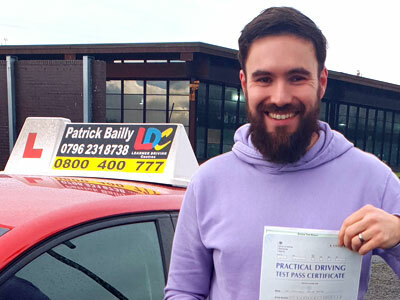 Patrick is a very patient Driving Instructor who made me feel at ease in all my lessons and gave me the confidence I needed to pass my driving test at my first attempt. I would recommend him to everyone. I found the Driving Skills Workbook very useful. The YouTube Channel was very good. I used it a lot to learn the manoeuvres and the Show me Tell me questions. 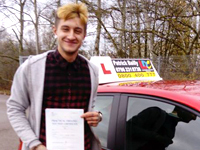 Patrick is an excellent Driving Instructor, very polite and knowledgeable. 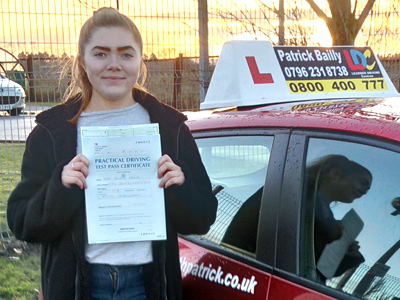 Patrick is a very professional Driving Instructor, very polite and helpful. He guided me from the beginning so well that I passed my theory and practice at the first attempt. It only took me 2 and a half months to complete the course and test. Thank you Patrick, would recommend to anyone. I mostly used the DVD for my theory test and I also read the chapters of the Driving Skills Workbook before each lesson. I found the materials pretty useful but haven't really had the time to look at the YouTube Channel. Patrick is a great Driving Instructor. 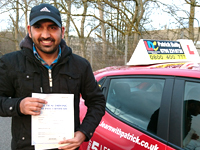 He put me at ease the first time I sat in his car and I thoroughly enjoyed my lessons with him. Before my lessons with Patrick, I had some previous experience, both on private property and in lessons when I was younger. Because of this, I already had materials to practice for my theory, so did not fully utilise LDC resources. The LDC YouTube channel seems very informative, however, it may be more effective to post shorter videos. It's not often that I find the time to watch 90+ minutes of driving videos. One of the best Instructor/Teacher I have ever had (and I have had many). Patrick is patient and always looking for solutions for problems which may arise during a lesson. He is thorough with the Theory. Overall excellent experience. The LD system workbook and LDC YouTube Channel are very good and useful. Patrick is a great person and Instructor who helped me a lot and does a fantastic job. Thank you so much. I would highly recommend him. The LDC Driving skills workbook really helped me as well as the YouTube Channel. Patrick is a really nice Instructor who explains everything clearly, remains calm, ready to accommodate your schedule and build up your confidence. The LDC Driving Skills Workbook is a very effective learning tool and is a must read before the test. The illustrations and diagrams help a lot especially for the roundabouts and various road signs. Patrick is thorough, detailed, motivating and considerate. The LD Driving Skills workbook was good for preparation but it could add some videos related to the specific driving centre and LDC YouTube channel is good. Patrick is very patient and will tell you when/or if you make a mistake in a very nice manner, and is also very good at explaining the situation. I would recommend Patrick to anybody who wants to learn and pass as his way of teaching is second to none, and he is an extremely pleasant and nice tutor. I think that the DVD-ROM for the theory test and hazards perception test brought me along really quickly and the pictures in the LDC Driving Skills workbook helped me to support the explanation. 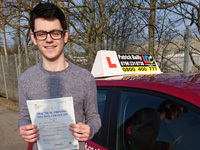 Patrick was a fantastic Instructor, very helpful and friendly. He explained everything thoroughly and in great details and had no problem if anything needed re-explaining. 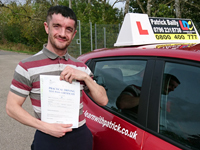 Patrick is a very good Instructor who is so patient and kind, I wish him all the best. The LD Driving Skills workbook was helpful and assisted me in finding keywords for the lessons. Patrick is very reliable and always on time. He explains everything very well, no matter how often I make mistakes, he is very patient and listens to you. His car is always in good order and clean, a pleasure to drive. 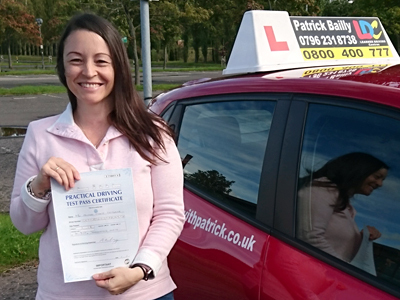 Patrick has boosted my confidence in driving very difficult and busy roundabouts and other difficult junctions. 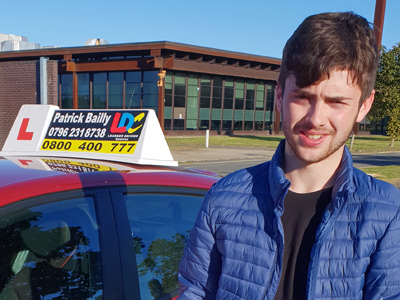 Patrick had been recommended to me by a friend and would highly recommend him to anyone who wishes to be a good and safe driver. The LDC Driving Skills Workbook was extremely useful for my lesson preparation as well as the LDC YouTube channel. Patrick was very patient with me all the time. All the routes we used were familiar to me by test day. Patrick taught me all the manoeuvres and the way he taught me was very useful. He also perfected my lane discipline. 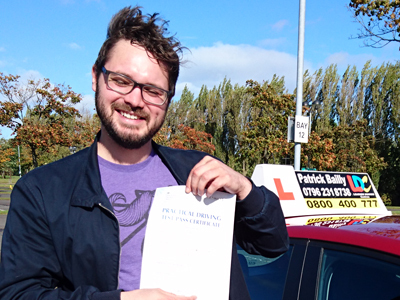 My main problem was big busy roundabouts but Patrick helped me to alleviate all my fears. I recommend anyone who wants to drive to contact Patrick because he is very good. The LDC Driving skills workbook was very useful as well as the YouTube channel. 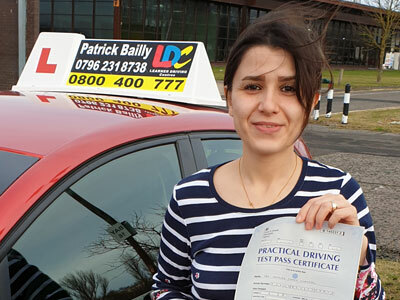 Patrick is an excellent Instructor who can make you drive perfectly in short period of time. He is very helpful with his guidelines, especially approaching roundabouts which was my major problem. He also picked up and improve my hesitation/speed. The LDC YouTube Channel is helpful and easy to learn from within 10 to 20 minutes. 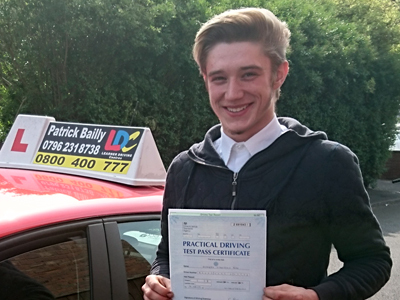 Patrick was lovely and would highly recommend him to anyone, I very much enjoyed my lessons. The LD system workbook and DVDs helped me a lot and are a good idea. Patrick is very patient, calm and has a lot of knowledge. The LD Driving Skill workbook was helpful. Patrick is a really nice and genuine guy and a really good instructor. I'm very pleased I chose Patrick and equally glad he taught me. The LD System workbook and DVDs were very good and helpful. Patrick is always very encouraging, supportive and pushing me beyond my comfort zone. The lessons were broken up nicely so that they didn't become boring. I preferred the LDC Driving Skills Workbook over the DVDs but would have liked more details for the manoeuvres. 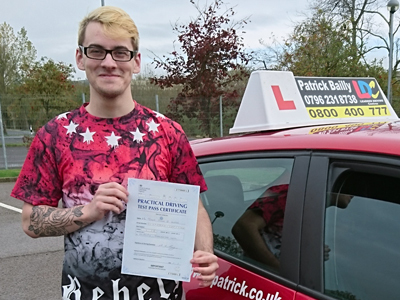 Patrick is a reliable, kind, great Driving Instructor and always on time. Please go through the LD system workbook/DVDs, even if you know how to drive, they are very helpful. 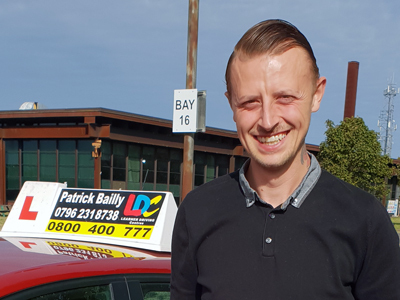 Patrick is a very friendly, easy going and polite Driving Instructor. He is a good teacher who explained to me in a very good way, very professional and equally punctual. First of all, when I rate 5 stars it is too little. 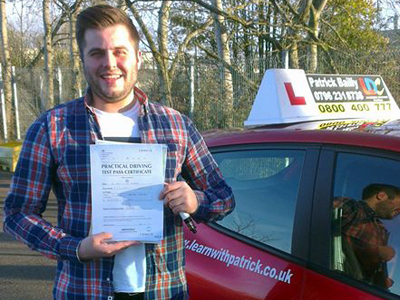 Patrick is number one Driving Instructor and I recommend him highly. 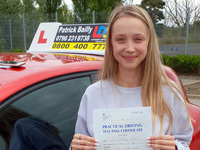 I passed my driving test first time because he kept telling me and explained in details my mistakes until I correct it. Thank you very much Patrick for everything you have taught me. I only had the LDC Driving Skills Workbook but it helped me a lot to prepare for the next lesson. I also watched the LDC Youtube Channel to help me with my manoeuvres and general driving. I really enjoyed working with Patrick. I always felt relax and Patrick made me feel safe at all times. 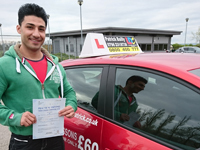 Also he believed in me, that gave me the confidence to go for my driving test, which I passed first time. 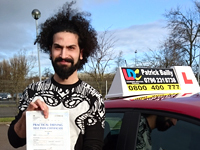 Patrick is an excellent Instructor, very patient, made me feel relaxed throughout my lessons. He gave clear instructions and made me feel safe and confident on the road. Patrick has a good sense of humour and made every lesson enjoyable. The LD System Workbook/DVDs were very helpful as well as the online theory test resources. I couldn't have passed without Patrick. Failed 5 times with another Instructor! Passed first go with Patrick! Patrick is patient and supportive, a very skilled tutor who listens and adapts his methods to best support the students needs. Unfailingly jolly a pleasure to be taught by. The LD Workbook clearly written and easy to understand. Patrick is a nice and patient instructor, better than my last instructor who didn't even teach me the basic's. The LD Workbooks and Dvd's are great they helped me refresh my memory for the next lesson while I was not driving.